The home of skydiving in Scotland since 1960. We have been running and updating Skydive Strathallan for some time now. 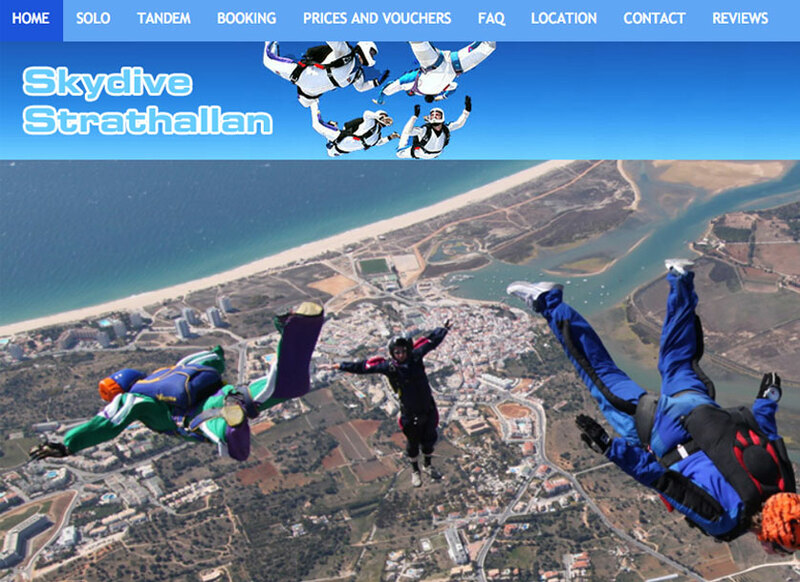 Skydive Strathallan has an ecommerce booking system where you can choose alternative dates for your first jump course and/or buy gift vouchers. The site has recently had a reviews system installed by us and the feedback from users and the club is all positive.